A specialist in protective enclosures for industrial cameras and laser systems, German manufacturer autoVimation has further expanded its range of Dolphin camera housings for very demanding hygienic requirements. The Dolphin series now comprises three lengths suitable for compact cameras with cross sections between 29 x 47 mm and 40 x 40 mm. A specialist in protective enclosures for industrial cameras and laser systems, German manufacturer autoVimation has further expanded its range of Dolphin camera housings for very demanding hygienic requirements. The Dolphin series now comprises three lengths suitable for compact cameras with cross sections between 29 x 47 mm and 40 x 40 mm. 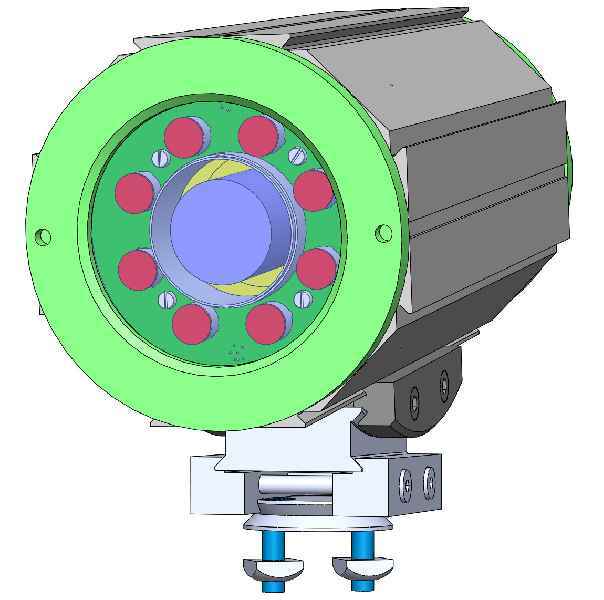 Up to 218 mm long camera assemblies including lens and connectors can be comfortably fitted within. Since the enclosures are made to EHEDG design specifications, direct contact with food and placement in high contamination risk areas are no problem. The housings made of V4A AISI 316L stainless steel can be cleaned with pressure washers. Electropolished surfaces and a surface roughness of less than 0.8 µm reliably prevent bacteria buildup. All seals and cable conduits are FDA-approved and comply with EU regulations 10/2011 or 1935/2004 for use in hygienically sensitive areas in the food, pharmaceutical, and chemical industries. The sealing materials feature high chemical and temperature resistance. They permanently withstand fats, mineral oils as well as aggressive cleaning agents. The enclosures achieve IP69K ingress protection, and the lids feature dual seals for additional safety. The front lid is optionally available in acrylic or BK7 glass. Versatile mounting options and compact dimensions allow for vibration-proof installation of the Dolphin enclosures in any location. The new rear wall mount enables 360° enclosure rotation and 50 mm height adjustment above the mounting surface. The patented Quick-lock/Heat-guide mount provides excellent dissipation to the outer housing and therefore cools the housed camera. autoVimation now offers Meganova ring lights in six different colors. These modules are equipped with an onboard strobe controller. Developed to fit into autoVimation’s enclosures with a 3″ front window, like the Orca and Mammoth housings, the special clamping mount ensures good heat dissipation. autoVimation now offers Meganova ring lights in six different colors. These modules are equipped with an onboard strobe controller. Developed to fit into autoVimation’s enclosures with a 3″ front window, like the Orca and Mammoth housings, the special clamping mount ensures good heat dissipation. Each light contains eight high-performance LEDs in four optional beam angles between 14° and 76° for optimal illumination of the camera field of view. In addition to two white ring lights with different CRIs, Meganova is available with red, green, blue, and infrared light. They are mounted using the integrated clamps with a large contact area. The ring lights feature a large enough inner radius for wide-angle lenses with diameters up to 36 mm to be fitted right behind the front window. This prevents reflection of light onto the camera lens. The LEDs can be pulsed with almost six times the nominal current, resulting in four times the normal brightness. The onboard controller calculates the maximum pulse/pause ratio depending on shutter speed and gain and prevents users from selecting damaging settings. 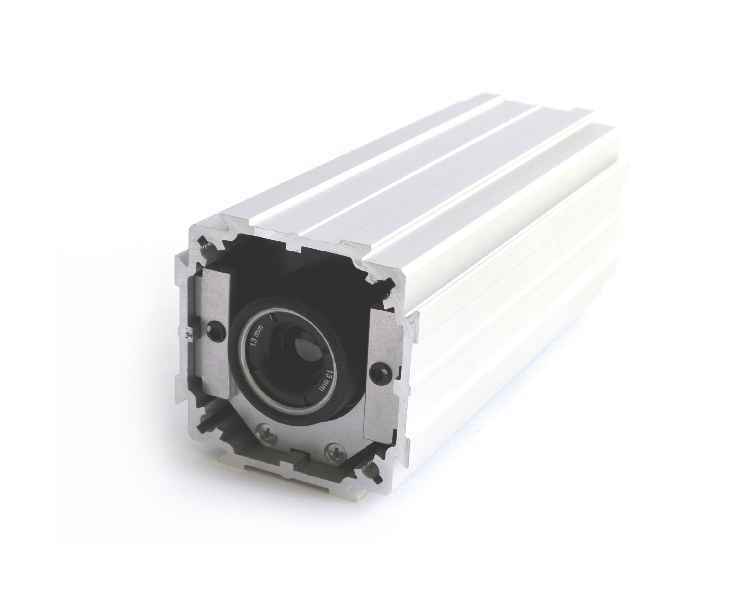 Due to good heat dissipation via the camera enclosure, 200 % nominal current – almost twice the normal brightness – can be continuously maintained under room temperature conditions at 16 W power consumption. Continuous temperature monitoring with automatic emergency shut-off prevents overheating. Users can set the pulse length, triggering behavior, exposure time, current amplification, and other ring lighting and flash parameters exactly as required via RS232 interface. The trigger is controlled via an optically isolated 5…24 V DC wide-range input. The onboard flash controller enables direct connection of the camera trigger output to synchronize light activation, ensuring particularly accurate flashing especially with short pulses. Reflections at a vertical angle of view can be reduced with an optional polarizing filter ring. A matching diffuser ensures homogenous illumination. Water cooling systems developed by autoVimation can additionally protect the lights and camera even at higher ambient temperatures of up to 200 °C. autoVimation celebrates its 10th anniversary this year. The company has been developing and manufacturing modular enclosures for cameras and laser systems since 2008.
autoVimation celebrates its 10th anniversary this year. The company has been developing and manufacturing modular enclosures for cameras and laser systems since 2008. Under the direction of founder and managing director Peter Neuhaus, the company has made its name as a renowned specialist in rugged protective housings and fixtures for vision technology. „Our concept, first launched at VISION Stuttgart in 2008, became an instant success with customers,“ says Neuhaus. 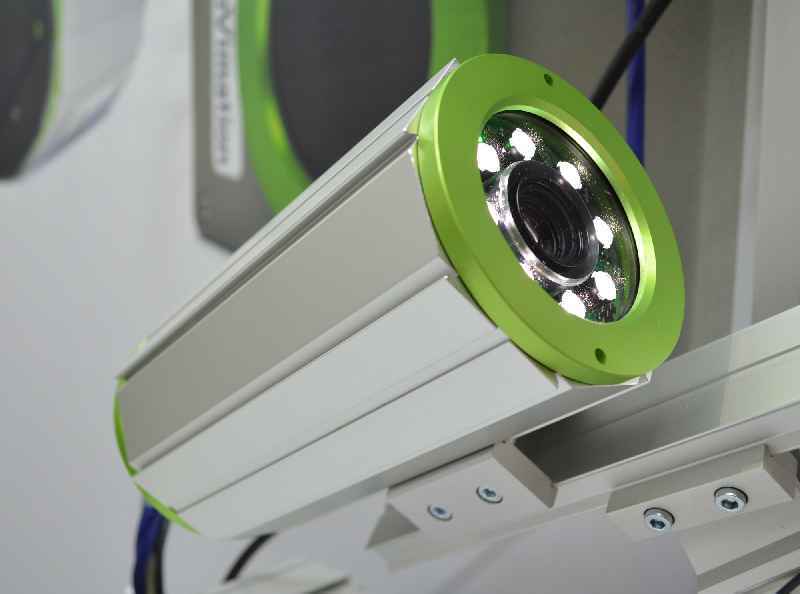 „Our modular system enables easy installation of sensitive cameras and laser technology in virtually any environment. It allows users to save a lot of effort for in-house development of protective housings and mounting accessories.“ The company has seen a steady growth in sales volume. Its products and special solutions made in Germany are in demand around the world. Only last year, autoVimation’s expanding business prompted an HQ relocation to a larger facility in the Karlsruhe area. autoVimation has won the innovation prize of the Technologiefabrik Karlsruhe tech hub on two different occasions: in 2011 for its overall concept of protective enclosures and mounting systems; in 2013 for temperature-controlled desert-proof enclosures used by the solar industry. autoVimation enclosing solutions feature in all industrial sectors and across a wide variety of special applications. They are used in extreme climates and for extremely varied purposes, from solar power plant operations in the Mojave Desert to penguin monitoring in Antarctica. Past projects have also covered numerous water and underwater applications, including one with an underwater camera in a TV show segment about seven swimmers climbing into one bathing cap. Most recently, the company has launched a hygienic camera mounting and enclosing system for the food and pharmaceutical sectors, as well as ring lights in six colors with a flash controller for installation in Orca protective camera enclosures. More information on the company, applications, and international distributors as well as the product catalog are available at www.autovimation.com. Enclosure specialist autoVimation helps users choose individual laboratory setups and provides custom-specific configurations according to the best possible cost-benefit assessment. Enclosure specialist autoVimation helps users choose individual laboratory setups and provides custom-specific configurations according to the best possible cost-benefit assessment. The advantages of a flexible modular system for laboratory setups in image processing are clear: with just a few, re-usable components it is possible to assemble complex image processing setups for laboratory tests or for a proof-of-concept at a client’s facility in a simple, fast and flexible way. 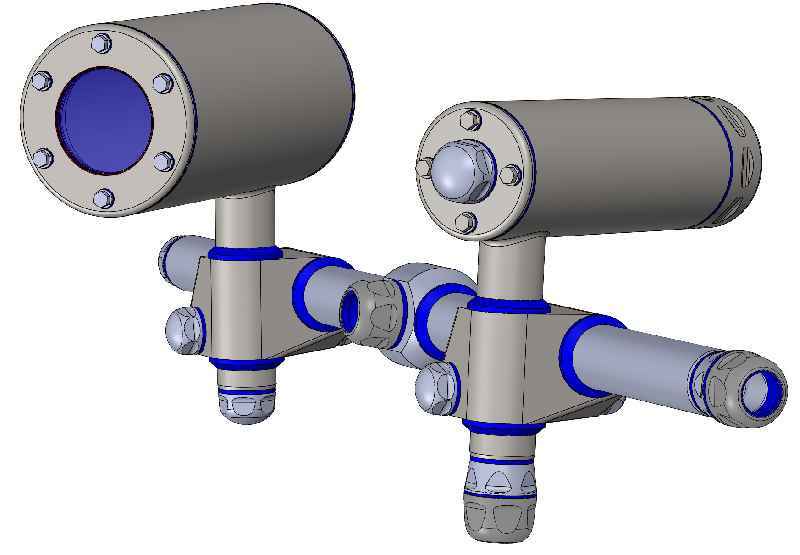 After successful tests, the system can be integrated into the final installation directly on-site, using just the existing parts and necessitating almost no adaptations. The dovetail profiles, mounting clamps and brackets enable flexible configurations. At the same time the robust rotation, tilt and ball joints offer maximum flexibility combined with excellent stability. 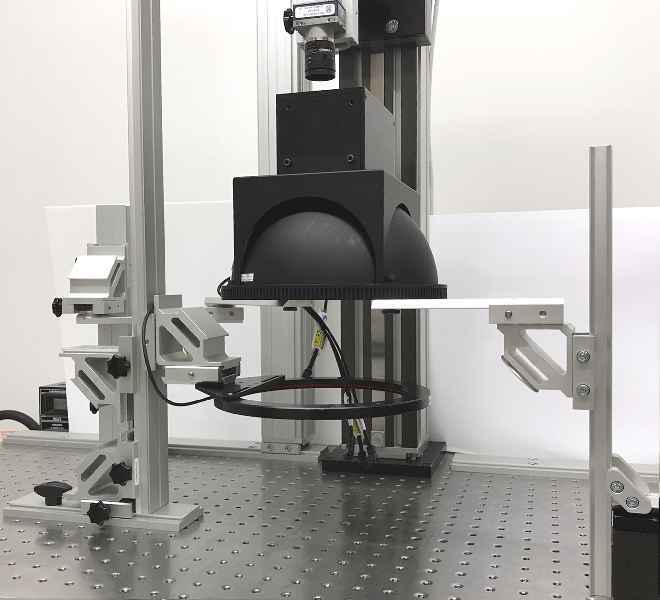 Universal camera/lighting fixtures and laser mounts facilitate the realization of inexpensive test setups with prefabricated components. Even large illuminations and lenses are held securely, exactly positioned and aligned. On request, autoVimation provides customers with individual proposals for custom-specific setups suited to their applications. Karlsruhe – autoVimation presents an innovative LED ring light with integrated strobe controller at this year’s Vision trade show in Stuttgart for the first time. The inbuilt micro controller allows for the customization of various parameters such as pulse length, trigger behavior, current amplification and many other settings. Karlsruhe – autoVimation presents an innovative LED ring light with integrated strobe controller at this year’s Vision trade show in Stuttgart for the first time. The inbuilt micro controller allows for the customization of various parameters such as pulse length, trigger behavior, current amplification and many other settings. Another feature is the opto-isolated wide range trigger input (5-24V). The ring light is programmed via RS232, with Bluetooth and WLAN options to follow soon. The amplification can be regulated to up to 6x nominal current to achieve a maximum power of up to 46W for the eight 1 Watt Oslon LEDs. The controller verifies the adjusted settings and gives an alarm in case the current is too high for the pulse length/cycle time ratio. In addition, the controller continuously checks the LED temperature and switches off in case of overheating, with the temperature being transmitted periodically via RS232 (if activated). The integrated strobe controller significantly reduces costs and simplifies cabling – the camera trigger output can be connected directly to the light inside the camera enclosure. Shorter wiring also increases the pulse accuracy by reducing the inductivity of long cables to and from the control cabinet. The LED ring light fits into the Orca enclosure – the excellent thermal connection to the enclosure passively cools the light. Adding a water cooling system, the enclosure allows greatly increased intensity or strobe length. The ring light is available in typical colors (R, G, B, IR and white). Fan angles can be easily changed by using the proven Lisa2 lenses. Several lights can be strobed and exactly synchronized, triggered by the sync output of the LED master light. A linear IP67 bar light with the same features will be realeased soon, with elements available in ~15cm length and extension options up to 120cm. The single panels with 8 to 46W and a minimal cross section of only 16x40mm feature a very compact form-factor. The bar light is based on the autoVimation double sided dovetail profile and allows for simple positioning and adjusting by using dovetail brackets and mounting kits. It can be combined with other lights, e.G. for dark field illumination from all four sides of the camera image, top lights, light tunnels etc. very easily. Additional passive or water cooling elements can be attached to increase brightness or pulse length up to continuous. Karlsruhe – autoVimation presents the first models of their brand new stainless steel enclosures series at this year’s VISION trade show in Stuttgart. 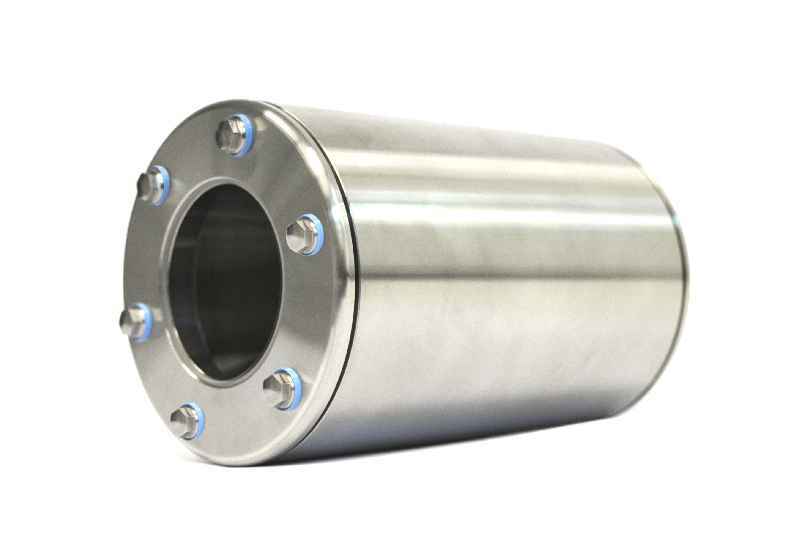 The housings now allow for the protection of cameras with up to 62x62mm cross section – often used within the food industry – from aggressive cleaning agents and high pressure water jets. Karlsruhe – autoVimation presents the first models of their brand new stainless steel enclosures series at this year’s VISION trade show in Stuttgart. 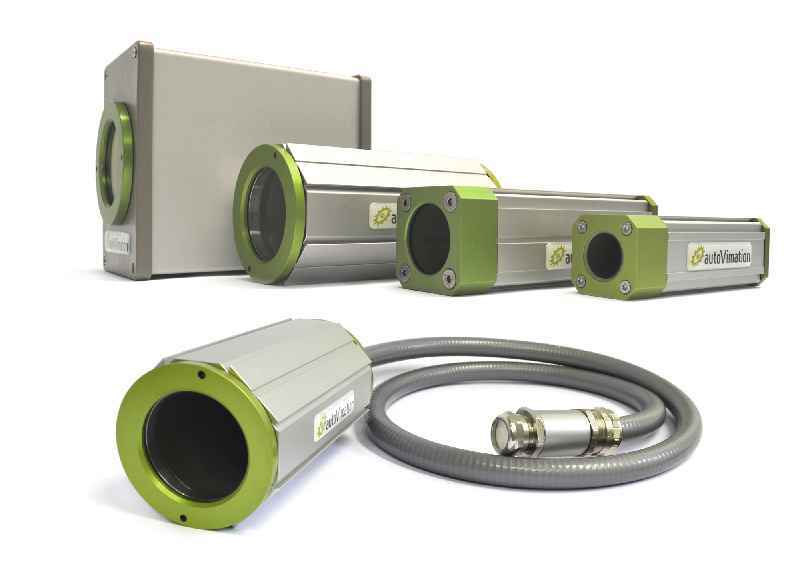 The housings now allow for the protection of cameras with up to 62x62mm cross section – often used within the food industry – from aggressive cleaning agents and high pressure water jets. Featuring IP69K ingress protection and a consistent hygienic design, the new housings meet all requirements of the food and pharma industry. 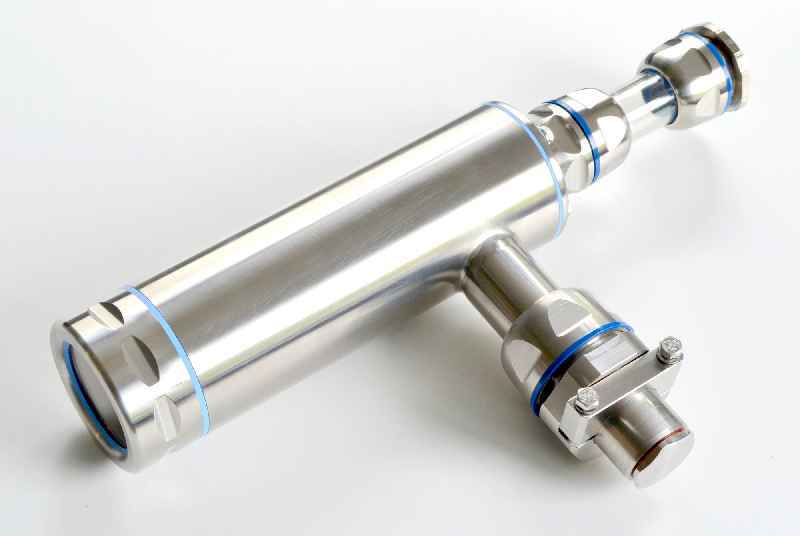 All new stainless products comply with the highest standards, such as FDA, KTW, EU-Directive EG No. 1935/2004 and EHEDG requirements – thanks to hygienic design measures such as flush mounted windows, using gap-free seals, lack of concave corners, sealing of all touching surfaces and hygienic cable glands and cable conduits. Furthermore, a notable new hygienic mounting solution in stainless steel will be on display. It provides nearly the same flexibility as the established dovetail system from autoVimation. An IP69k laser enclosure in combination with a hygienic triangulation building kit is also in the works. A matching bar light is scheduled to launch in 2017. Karlsruhe – The new stereo vision building kit is extended by an electronics box, calculating the stereo image from two USB cameras with FPGA support. The output delivers a depth of field image or point cloud that is transmitted to a PC via Ethernet and processed there. Karlsruhe – The new stereo vision building kit is extended by an electronics box, calculating the stereo image from two USB cameras with FPGA support. The output delivers a depth of field image or point cloud that is transmitted to a PC via Ethernet and processed there. The system works with ambient light, but light sources or pattern projectors can be added if required. Compared with common stereo sensors, users benefit from having full control over the system – the optical base (distance between cameras), camera resolution and lens as well as the working distance may be configured by the customer. The complete set-up is IP66 proof and therefore suitable for wash-down conditions. All that is needed to connect the system, is a LAN and Trigger/Power cable. 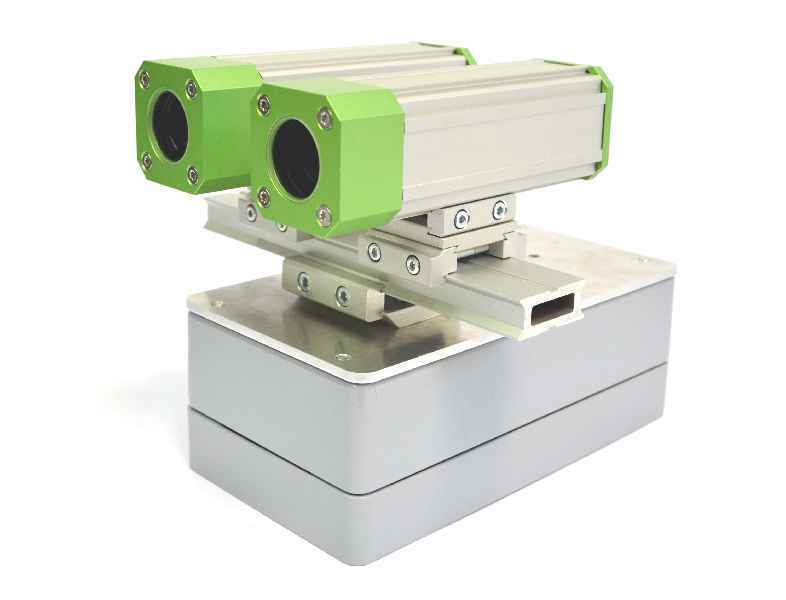 The stereo vision box can be mounted on the autoVimation dovetail profiles together with the two camera enclosures. Karlsruhe – Due to a modified design, the new version of the Flir Ax5 has significantly larger dimensions. By customizing the Gecko housing, autoVimation has succeeded in accommodating the Ax5 with lenses up to 35mm focal length in this housing type once more. The overall dimensions are a decisive factor for many customers. The larger lenses with 50, 60 and 100mm focal length can be placed in the Orca enclosure with 3″ Germanium window. 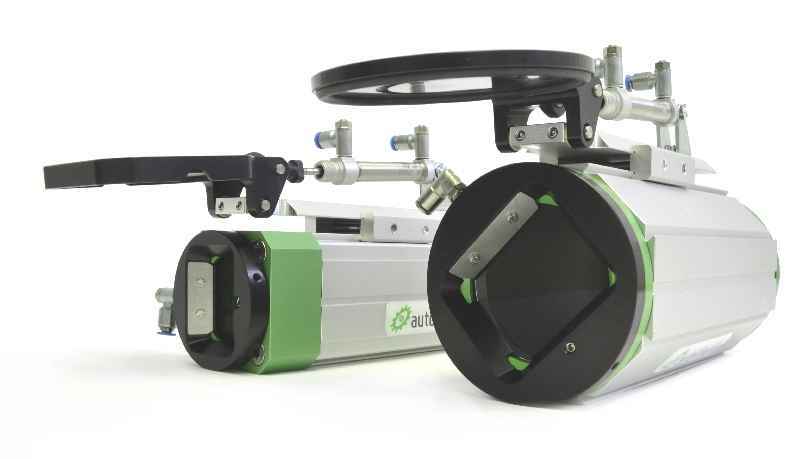 Karlsruhe – Due to a growing demand for camera solutions in dirty environments, autoVimation have expanded their product range. The technology previously proven in the Salamander housing series has been adapted to 3″ windows.